Our mission is to find the purest, most delicious, raw honey from Yemen and other countries around the world. We’re dedicated to everything honey – from exquisite single-origin, mono-floral honey, to potent honey fusions to irresistible combinations of raw honey and the finest chocolate. Our mission is to find the purest, most delicious, raw honey from Yemen and other countries around the world. We’re dedicated to everything raw honey – from exquisite single-origin, mono-floral honey, to potent honey fusions to irresistible combinations of raw honey and the finest chocolate. Our flagship product is Hadrami Sidr, the mono-floral honey which comes from the bees that feed exclusively on the nectar of the Sidr tree. This ancient tree grows uncultivated in the remote mountains that climb up from the Wadi Do’an in the Hadramaout region of Yemen, some 1,000 kilometres inland from the coast of the Arabian Sea. Riath Hamed is known as ‘the Honey Man’ because of his passion and knowledge of this fine, rare, luxurious golden substance. Of Yemeni heritage, brought up in Sheffield, UK, when Riath moved to the Middle East he was shocked to discover that he couldn’t find the beautiful raw honey that was produced in nearby Yemen. This sparked his search and fuelled a single-minded obsession, to make the finest raw honey in the world available to everyone. He connected with rural beekeepers using centuries old traditions in Yemen to form cooperatives. Riath also travels the globe seeking out unique and delicious raw honey. 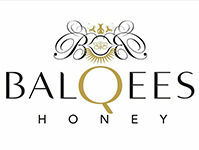 Balqees understands the precious rarity of truly raw, pure honey. Our quality control is stringent to ensure our trusted customers are receive the genuine product. Our supply chains are very short as we deal directly with small beekeepers in Yemen and throughout the world. We work closely with these artisans to protect their livelihoods, their traditional way of life and the sustainability of their work. All Balqees honey is raw, straight from the hive with no heat-treatment or micro-filters which would rob it of the potent health promoting enzymes. None of our farmers or beekeepers feed sugar solution or supplements to their bees either. We are totally dedicated to finding the purest most natural honey there is. This attention to detail extends to any ingredients we use, such as the spices in our honey fusions.